In Marion Barry’s book, race plays a factor in everything that occurs in America. 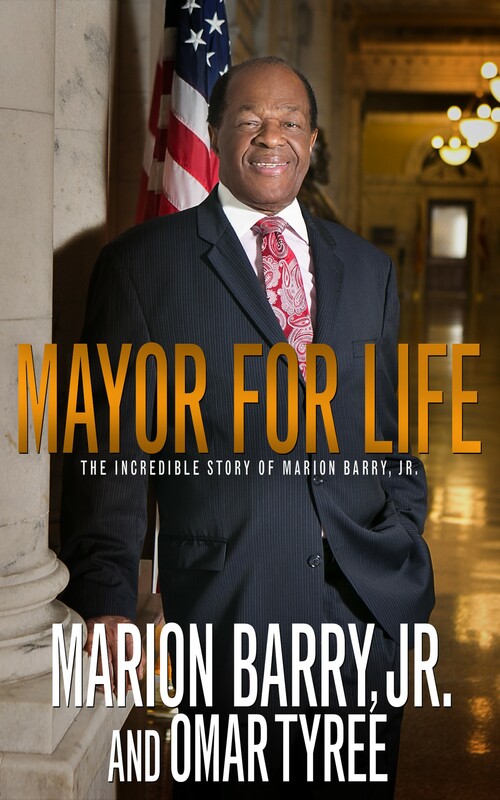 In “Mayor for Life: The Incredible Story of Marion Barry, Jr.,” you can learn how this politician’s focus on race made him one of the most popular and controversial figures in modern history. The book is chock-full of information contemporary Black households need to know about what can be done with political power. Barry recounts the times when we were at our zenith in terms of political power. In Washington he’s a Black “icon” and “role model.” Born in Itta Bena, Mississippi, the son of a sharecropper, Barry is the third of 10 children. His father died when he was four years old, and a year later his mother moved the family to Memphis, Tennessee, where her employment prospects appeared better. In his autobiography, Barry has a lot to say about how his life in politics was publicly diminished by institutions like the media and government agents. Barry said the book helps readers “know me.” “Mayor for Life” shows the impact Barry has had on the District of Columbia. He’s a civil rights activist that adroitly leveraged political power for D.C.’s poor and Black communities. Barry has been at the center of the District’s triumphs and troubles since the 1970s. The 78-year-old politician proudly says that he has dedicated 40 years of his life to public service “always fighting for the people.” Known around the world, Barry served as the second elected mayor of the District of Columbia from 1979 to 1991, and again as the fourth mayor from 1995 to 1999. He has served on the D.C. Council, representing Ward 8 since 2005. Reading the book reveals Barry’s having courage, tenacity and vision few Black politicians display. The book illustrates that in no way was Barry colorblind. If President Barack Obama leveraged the power of the presidency toward his people, as Barry did, a nation of Blacks would be dancing in the streets. Barry helped Blacks develop wealth through government jobs and contracts – Black businesses received 3 percent of D.C. contracts when he entered office and 47 percent when he left. Barry said, “They didn’t want me creating all of these opportunities for Black folks.” His deliberate hiring practices and set-asides for minorities created a generation of Black-owned businesses and the nation’s largest Black middle class. Mayor Barry’s true legacy is Prince George’s County – the nation’s wealthiest majority Black jurisdiction. No other mayor has come close to his achievement in providing jobs for poor young Blacks. The late Atlanta Mayor Maynard Jackson places second on the list. Houston’s Lee Brown comes in third. Howard University 1991 journalism graduate Omar Tyree, a New York Times best-selling author, penned the book with Barry. Like Barry, Tyree said the book was written for Black people, many of whom benefited economically from city contracts and summer jobs during Barry’s time in office. The “big payback” would be for Barry and Tyree to experience gigantic book sales. The book’s hardcover price runs about $20. Hopefully, Barry and Tyree will sell millions of copies so “the Mayor” can go fishing. Politician: If you have abused drugs, and have been a high stakes gambler, cheated on your taxes, a womanizer and a liar. You can bet somewhere in your career you have stolen some money. That’s rather hash coming from another “Human”! Hey Buddy!, I found this information for you: "Mayor For Life". Here is the website link: https://blackmeninamerica.com/mayor-for-life/. Thank you.